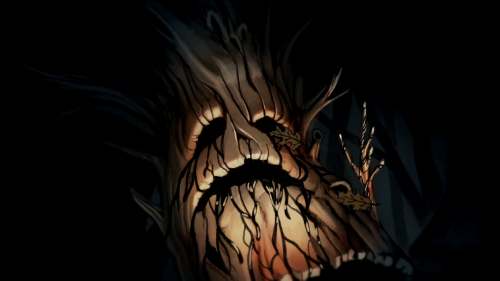 I've finished watching up to chapter 4 of Over the Garden Wall and I must say this show is so delightfully mysterious! The atmosphere, design and the characters are nice to watch. The music complements the atmosphere perfectly. The Beast was finally revealed alongside the potential overall plot and its gotten me hooked! I have not watched parts 3 and 4 yet(timezone difference), but I really enjoyed the first two episodes. It kind of is a shame that it's only a miniseries. I really want to explore more of this world, but we are only limited to 10 episodes. Yeah this show has so much potential. The Unknown as a whole is a great world to explore. Maybe if the show has amazing ratings they'll consider a continuation. What a great show,everything seems resolved sadly so it doesn't seem they can do more with the plot but it would be nice to see more of it in the future. I hope CN does another miniseries like this in the future. "At night, when the lake is a mirror, and the moon rides the waves to the shore, a single soul sets his voice singing, content to be slightly forlorn. A song rises over the lilies, sweeps high to clear over the reeds, and over the bulrushes swaying, to pluck at a pair of heartstrings. Two voices, now they are singing. Then ten as the melody soars. 'Round the shimmering pond, all are joining in song as it carries their reverie on. 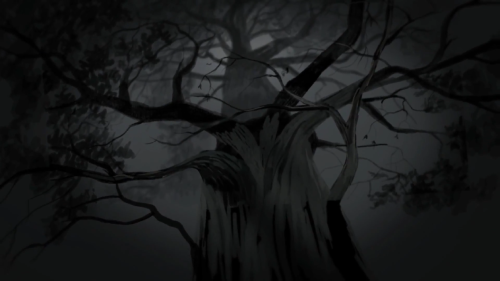 Over the treetops and mountains, over the blackened ravines, then softly, it falls by a house near a stream, and over the garden wall..."
Did anyone notice that the tombstone that Wirt hid behind belonged to Quincy Endicott? The old tea man? While the twist stunned for a bit, I wasn't completely bothered by it, the Beast's secret shocked me more. Every comment and character was referenced someway to their Halloween night and I thought that was very clever. I'm sad we won't get anymore but I'm glad it happened. The music was exemplary. 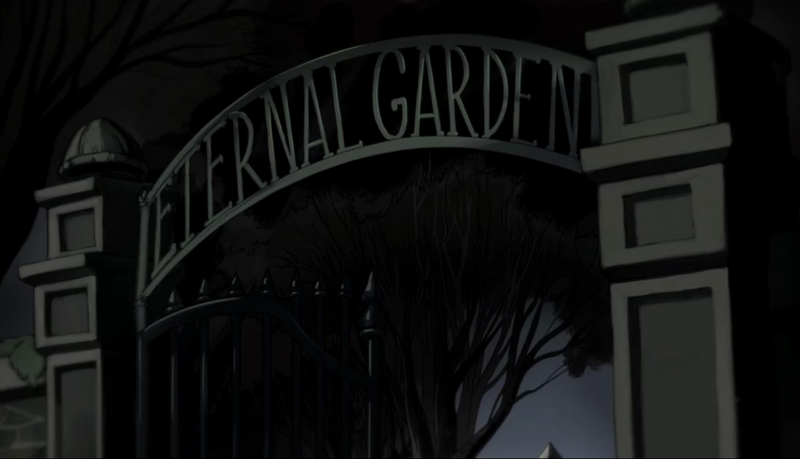 They crossed the wall of the Eternal Garden.